An investigation into the cause of bacteria in water supplies to parts of two north Wales counties is continuing, a water company has said. About 70,000 households and businesses in areas of Flintshire and Denbighshire are being advised to boil their drinking water until further notice. Customers supplied by the Alwen treatment works are affected. 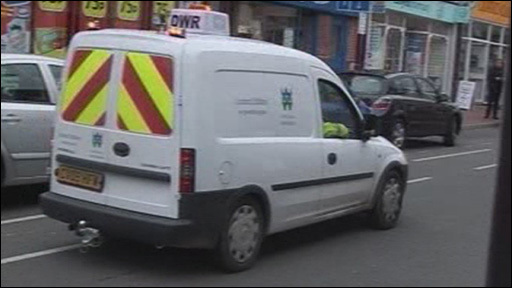 Welsh Water issued the precautionary notice to boil any tap water following routine tests. The company said a further update on the situation would be provided at 1000 BST on Thursday. A spokesperson for Welsh Water said: "We apologise for the inconvenience caused to our customers and assure them that we are doing all we can to resolve this issue as quickly as possible, so that the Boil Water Notice can be removed." Delyn AM Sandy Mewies asked an urgent question in the Welsh assembly, and wants "assurances that action will be taken to prevent future contamination". Mrs Mewies asked Environment Minister Jane Davies to outline what was being done by Welsh Water to restore supplies as quickly as possible. Mrs Mewies said she had spoken to Welsh Water and it was "working hard to contain and resolve this issue". "But it will be a cause for concern to everyone affected and they must be assured that everything is being done, particularly as I understand some areas which are affected have not been clearly identified this morning and that in recent months there have been a number of similar problems in north Wales." She said Welsh Water had acted quickly, "but customers will want supplies to return to normal quickly and will want assurances over the safety of their water." Clwyd West Conservative AM Darren Millar said: "I am disappointed that this is yet another serious water quality issue affecting people in north Wales. "This is despite recent increases in water prices where consumers were told this would safeguard and improve water quality." 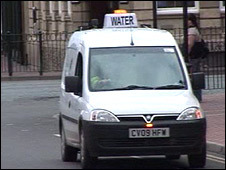 Tim Masters from Welsh Water said the company detected the bacteria in water supplies. "It's a species of bacteria called coliform, and they're generally present in the environment around us, but they shouldn't be found in water supplies. "We had some information from some samples that we took that we were finding them in the water. "So, until we identify why they're there and what the cause of them is, we're just taking a precautionary, prudent approach and advising customers in the areas affected to boil their water," he said. Customers should boil all drinking water and water used for brushing their teeth, he added. The company is writing to all customers affected by the boiling advice and will also keep its website updated. Vans with loud hailers are touring areas with large centres of population. In a statement it said people with special medical needs will be supplied with bottled water. The company said it was working with the local authorities to ensure hospitals, nursing homes, food manufacturers and educational establishments affected are notified and able to take the necessary precautions. "We are making every effort to find the source of the contamination and are undertaking extensive further water sampling in the affected areas so that we can restore supplies back to normal as quickly as we are able," the statement said. The National Public Health Service for Wales (NPHSW) has been informed and will maintain close surveillance of the population affected to monitor for any illness. Melin-y-wig, Mold Town, Mostyn, Mynydd Isa, Nannerch, Nercwys, Northop, Oakenholt, Pantymwyn, Pentrecelyn, Pentrellyncymmer, Pwllglas, Rhes-y-cae, Rhosesmor, Rhydymwyn, Ruthin, Sychdyn, Talacre, Trelawnyd, Upper Connah's Quay, Whitford, Ysceifiog. This is the latest problem to affect Welsh Water's supplies in the north of the country over the last few years. Last August and September there were separate boil water warnings issued for customers in areas of Bangor, Gwynedd, and in parts of Anglesey. In November 2005 a total of 231 people were left ill in Gwynedd and Anglesey after cryptosporidium affected a Snowdonia reservoir. The water company, which is implementing a £150m programme to improve treatment works, was fined £50,000 after admitting supplying unfit water in that case.